Rory McIlroy took advantage of the best of the weather to fire nine birdies in a second round 65 and move to within two shots of leader Adam Scott in the Emirates Australian Open. The Masters champion - who is going for the triple crown of Australian PGA, Masters and Open titles - opened his afternoon round ominously for McIlroy. He birdied the 300 yard first by driving the green to regain the lead on 11 under before picking up another shot at the third to lead by two. But with the weather deteriorating, he faltered in the end, carding a two under 70 to lead by two from McIlroy on 12 under par. “It was going to be a day where you just have to hang on, try and hit as many good shots as possible,” Scott said afer a round featuring seven birdies, three bogeys and a double bogey at his fourth hole. McIlroy was pleased he’d done his job by taking advantage of advantageous early conditions - perfect greens, softened by light rain and caressed by no more than a gentle breeze. “I played well, and putted much better this morning,” said McIlroy, who had three three-putts in his opening 69 but took just 24 putts in the second round. Having said after day one, “it is hard to give Adam Scott a seven-shot lead”, the former world No 1 was in more optimistic mood after his morning fireworks. “It feels good. It felt good out there this morning. I think we got a little lucky though with the weather forecast. The weather wasn’t as bad as we thought it was going to be this morning. The wind didn’t really pick up so we could sort of take advantage of that. The greens were a little softer as well because of the rain. “But yeah, it feels good, I played well, putted much better today than I did yesterday too, so that was a big positive. I’m in a great position going into the weekend. “It would have been very easy for me to get frustrated yesterday and I was getting a little frustrated because I bogeyed 10 and 11 to go back to even par and I’m thinking to myself: I’m 10 behind, not just 10 behind anyone, I’m 10 behind Scotty. “I think it was big. I played my last seven holes last night at three under par. But yeah, when you see someone like that at the top of the leaderboard already with a low score, it’s tough not to think about it. Starting on the back nine, the 24-year old birdied 13th, 15th and 16th before giving back a shot at the difficult par-three 17th hole after he missed the green and could not get up and down from the right side. The then hit a trademark iron to three feet to set up a birdie at the 18th and turn in 32 before coming back in 33 with four more birdies against a lone bogey at the par-four fourth. Explaining who difficult his season had been in terms of momentum, McIlroy added: “I was saying it’s all mental. When you get on a run of events where you play well, your mindset going into tournaments is going under par, winning, getting onto the top of the leaderboard as soon as possible and when you’re not playing so well it’s a bit different. You’re hoping to get on the leaderboard, you’re hoping to do well, where you’re not really expecting to. As it turned out, Scott followed those two early birdies with five more. He also double bogeyed the fourth and bogeyed the fifth, 15th and 17th. Australia’s Richard Green also made a charge, firing a hole in one at the sixth in a 66 that left him in provisional share of third on nine under. “It was a flush golf shot,” said Green, whose eight-iron shot rode left-to-right on the breeze, landed 10 feet short of the flag and popped in. The crowds will be hoping for a McIlroy-Scott showdown at the weekend and green knows it’s going to be tough. “I’m going to have to play the golf of my life to keep up with them,” he said. Rory McIlroy in action in the first round of the Kolon Korea Open at Woo Jeong Hills Country Club near Cheonan, south of the capital Seoul. Picture by Paul Lakatos/OneAsiaAnother day, another double bogey. That appears to be the pattern for Rory McIlroy, who birdied his last two holes and three of his last five to shoot a one under 70 and trail Japan tour regular Jang Ik-jae by just three shots after the first round of the Kolon Korea Open. 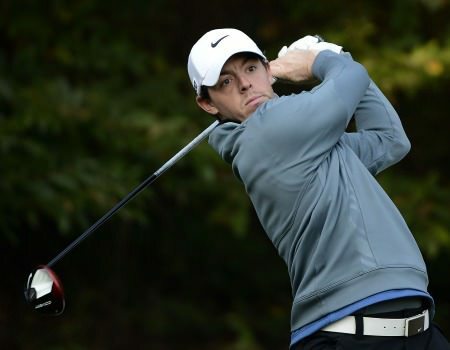 CHEONAN, Korea, Oct 18 – Rory McIlroy of Northern Ireland in action on Friday 18 October, 2013, during the second round of the Kolon Korea Open at Woo Jeong Hills Country Club near Cheonan, south of the capital Seoul. The one billion won (around U.S. $950,000) tournament is part of the OneAsia circuit. 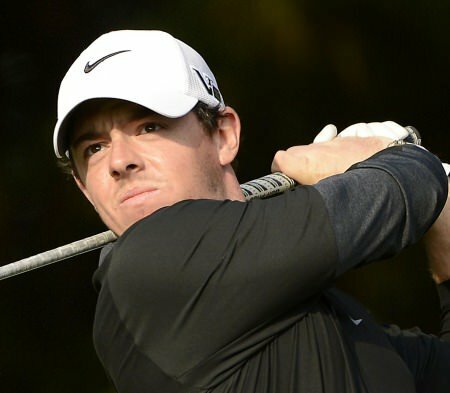 Picture by Paul Lakatos/OneAsia.Rory McIlroy is lurking just two strokes behind world No 539 Hong Soon-sang with two rounds to go in the OneAsia Tour’s Kolon Korea Open near Seoul. 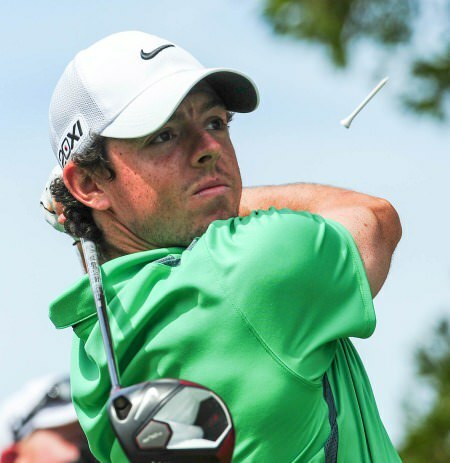 CHEONAN, Korea, Oct 18 – Rory McIlroy in action in Saturday’s third round of the Kolon Korea Open. 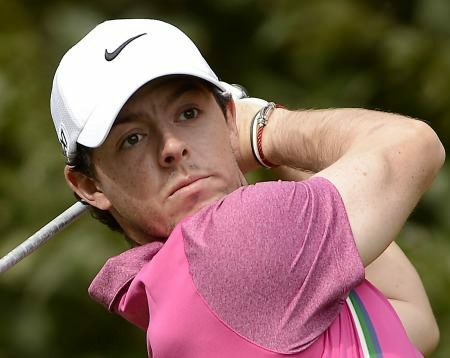 Picture by Paul Lakatos/OneAsia.Rory McIlroy had a bad day on the greens as he made just one birdie in a third round 75 and trails Korea’s Kim Hyung-tae by 10 shots heading into the final round of the OneAsia Tour’s Kolon Korea Open. Rory McIlroy might have remained sixth in the world but his dramatic final hole victory in the Emirates Australian Open in what was his last full start of a fraught season may well go down as one of the most significant of his career. 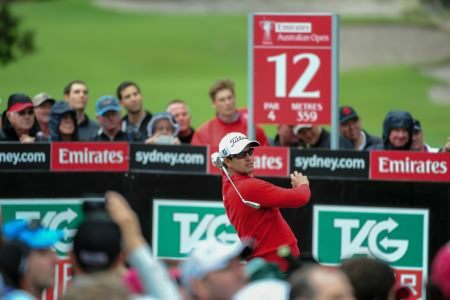 McIlroy: "It is hard to give Adam Scott a seven-shot lead"
Rory McIlroy sounded like he was bracing himself for another winless week after shooting a 69 to leader Adam Scott’s course record 62 in the first round of the Australian Open.